WEDNESDAY, Nov. 28, 2018 (HealthDay News) -- Risk of heat-related disease and death is rising worldwide due to climate change, a new report warns. Hotter temperatures threaten the elderly and other vulnerable people with heat stress, and heart and kidney disease, according to an international team of experts. Last year, more than 157 million at-risk people were exposed to heat waves worldwide. That was 18 million more than in 2016, the researchers said. "Trends in the impacts of climate change, exposures and vulnerabilities show unacceptably high risk for health now and in the future," said study author Hilary Graham, a professor at the University of York in England. On average, each person was exposed to an additional 1.4 days of heat waves between 2000 and 2017, compared with 1986 to 2005, according to the report. Besides adults over 65, vulnerable people live in cities, and have heart disease, diabetes and chronic respiratory disease, the researchers noted. People in Europe and the eastern Mediterranean are more vulnerable than those in Africa and Southeast Asia, probably because many older Europeans live in cities. Forty-two percent of Europeans and 43 percent of people in the eastern Mediterranean are older than 65 and vulnerable to heat exposure, compared with 38 percent in Africa and 34 percent in Southeast Asia, the study found. The annual report was published Nov. 28 in The Lancet Countdown on Health and Climate Change. Between 1986 and 2017, the global temperature rose 0.3 degrees Celsius, or half of 1 degree Fahrenheit. 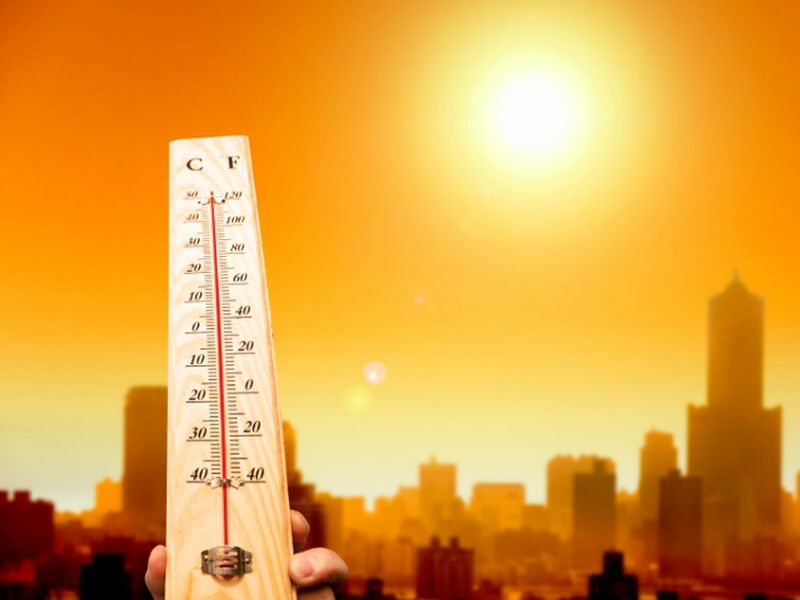 But the average temperature increase people were exposed to was more than twice as high -- 0.8 degrees C or 1.4 degrees F.
Excessive heat led to 153 billion hours of labor lost worldwide last year, an increase of 62 billion hours from 2000. Small changes in temperature and rainfall can boost transmission of dengue fever and other infectious diseases that are spread through water and mosquitoes. "It is clear that the nature and scale of the response to climate change will be the determining factor in shaping the health of nations for centuries to come," Graham said in a journal news release. She added that lack of progress in reducing emissions and failure to build with climate change in mind are threatening lives and health. Vulnerability to extreme heat has steadily increased around the world since 1990, noted Joacim Rocklov, a professor at Umea University in Sweden. "This has led to vast losses for national economies and household budgets," said Rocklov, who also contributed to the report. "At a time when national health budgets and health services face a growing epidemic of lifestyle diseases, continued delay in unlocking the potential health benefits of climate change mitigation is shortsighted and damaging for human health."